Federalist No. 10 (Federalist Number 10) is an essay by James Madison and the tenth of the Federalist Papers, a series arguing for the ratification of the United States Constitution. It was published on November 22, 1787, under the pseudonym Publius, the name under which all the Federalist Papers were published. The essay is the most famous of the Federalist Papers, along with Federalist No. 51, also by James Madison, and is among the most highly regarded of all American political writings. No. 10 addresses the question of how to guard against "factions," groups of citizens with interests contrary to the rights of others or the interests of the whole community. In today's discourse, the term special interest often carries the same connotation. Madison argued that a strong, large republic would be a better guard against those dangers than smaller republics—for instance, the individual states. It is believed that James Madison took ideas from Thomas Hobbes in regards to a strong controlling government. Opponents of the Constitution offered counterarguments to his position, which were substantially derived from the commentary of Montesquieu on this subject. Federalist No. 10 continues a theme begun in Federalist No. 9; it is titled, "The Same Subject Continued: The Utility of the Union as a Safeguard Against Domestic Faction and Insurrection." The whole series is cited by scholars and jurists as an authoritative interpretation and explication of the meaning of the Constitution. Jurists have frequently read No. 10 to mean that the Founding Fathers did not intend the United States government to be partisan. By September 17, 1787, the Philadelphia Convention had submitted the Constitution to the states for ratification. Anti-Federalist writers began to publish essays and letters arguing against ratification, and Alexander Hamilton recruited James Madison and John Jay to write a series of pro-ratification letters in response. Like most of the Anti-Federalist essays and the vast majority of the Federalist Papers, No. 10 first appeared in popular newspapers. It was first printed in the Daily Advertiser; in this it was remarkable among the essays of Publius, as almost all of them first appeared in one of two other papers, the Independent Journal and the New-York Packet. Federalist No. 37, also by Madison, was the only other essay to appear first in the Advertiser. Considering the importance later ascribed to the essay, it was reprinted only on a limited scale. On November 23, it appeared in the Packet and the next day in the Independent Journal. Outside New York City, it made four appearances in early 1788: January 2, in the Pennsylvania Gazette, January 10, in the Hudson Valley Weekly, January 15, in the Lansingburgh Northern Centinel, and January 17, in the Albany Gazette. Though this number of reprintings was typical for the Federalist, many other essays, both Federalist and Anti-Federalist, saw much wider distribution. On January 1, 1788, the publishing company J.&A. McLean announced that they would publish the first 36 of the essays in a single volume. This volume, titled The Federalist, was released on March 2, 1788. Two later editions are of note. The first was by George Hopkins in 1802; in this edition Hopkins revealed that Madison, Hamilton, and Jay were in fact the authors of the series. 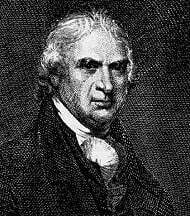 In 1818, James Gideon published a third edition containing corrections by Madison, who by that time had completed his two terms as President of the United States. Federalist No. 10 continues the discussion of the question broached in Hamilton's Federalist No. 9. Hamilton there addressed the destructive role of faction in breaking apart the republic. The question Madison answers, then, is how to eliminate the negative effects of faction. He defines a faction as "a number of citizens, whether amounting to a minority or majority of the whole, who are united and actuated by some common impulse of passion, or of interest, adverse to the rights of other citizens, or to the permanent and aggregate interests of the community." He identifies the most serious source of faction to be the diversity of opinion in political life which leads to dispute over fundamental issues such as what regime or religion should be preferred. However, he thinks "the most common and durable source of factions has been the various and unequal distribution of property. Those who hold and those who are without property have ever formed distinct interests in society." He saw direct democracy as a danger to individual rights and advocated a representative democracy (also called a republic) in order to protect what he viewed as individual liberty from majority rule, or from the effects of such inequality within society. He says, "A pure democracy can admit no cure for the mischiefs of faction. A common passion or interest will be felt by a majority, and there is nothing to check the inducements to sacrifice the weaker party. Hence it is, that democracies have ever been found incompatible with personal security or the rights of property; and have, in general, been as short in their lives as they have been violent in their deaths." Like the anti-Federalists who opposed him, Madison was substantially influenced by the work of Montesquieu, though Madison and Montesquieu disagreed on the question addressed in this essay. He also relied heavily on the philosophers of the Scottish Enlightenment, especially David Hume, whose influence is most clear in Madison's discussion of the types of faction and in his argument for an extended republic. Madison takes the position that there are two ways to limit the damage caused by faction: Removing the causes of faction or controlling its effects. He contends that there are two ways to remove the causes that provoke the development of factions. One, the elimination of liberty, he rejects as unacceptable. The other, creating a society homogeneous in opinion and interest, he sees as impractical because the causes of faction, among them variant economic interests, are inherent in a free society. Madison concludes that the damage caused by faction can be limited only by controlling its effects. Madison notes that the principle of popular sovereignty should prevent minority factions from gaining power. Majority factions are then the problem, and he offers two ways to check them: prevent the "existence of the same passion or interest in a majority at the same time," or alternately render a majority faction unable to act. From this point Madison concludes that a small democracy cannot avoid majority faction, because small size means that common passions are likely to form among a majority of the people, and democracy means that the majority can enforce its will. A republic, Madison writes, is different from a democracy because its government is placed in the hands of delegates, and as a result of this, it can be extended over a larger area. Regarding the first difference, Madison contends that a large republic will elect better delegates than a small one. In a large republic, the number of citizens per representative will be greater, and each chosen representative will be the best from a larger sample of people, resulting in better government. Also, the fact that each representative is chosen from a larger constituency means that "vicious arts" of electioneering will be less effective. The fact that a republic can encompass larger areas and populations is a strength of that form of government. Madison believes that larger societies will have a greater variety of diverse parties and interest groups, which in competition will be less likely to yield a majority faction. This is a general application of the checks and balances principle, which is central to the American constitutional system. In conclusion, Madison emphasizes that the greater size of the Union will allow for more effective governments than were the states to remain more independent. Though Madison argued for a large and diverse republic, the writers of the Federalist Papers recognized the need for a balance. They wanted a republic diverse enough to prevent faction but with enough commonality to maintain cohesion. In Federalist No. 2, John Jay counted as a blessing that America possessed "one united people—a people descended from the same ancestors, speaking the same language, professing the same religion." Madison himself addresses a limitation of his conclusion that large constituencies will provide better representatives. He notes that if constituencies are too large, the representatives will be "too little acquainted with all their local circumstances and lesser interests." He says that this problem is partly solved by federalism. No matter how large the constituencies of federal representatives, local matters will be looked after by state and local officials with naturally smaller constituencies. Whoever seriously considers the immense extent of territory comprehended within the limits of the United States, together with the variety of its climates, productions, and commerce, the difference of extent, and number of inhabitants in all; the dissimilitude of interest, morals, and policies, in almost every one, will receive it as an intuitive truth, that a consolidated republican form of government therein, can never form a perfect union, establish justice, insure domestic tranquility, promote the general welfare, and secure the blessings of liberty to you and your posterity, for to these objects it must be directed: this unkindred legislature therefore, composed of interests opposite and dissimilar in their nature, will in its exercise, emphatically be, like a house divided against itself. Generally, it was their position that republics about the size of the individual states could survive, but that a republic on the size of the Union would fail. A particular point in support of this was that most of the states were focused on one industry—commerce and shipping in the northern states and plantation farming in the southern ones. The Anti-Federalist belief that the wide disparity in the economic interests of the various states would lead to controversy was perhaps realized in the American Civil War, which some scholars attribute to this disparity. 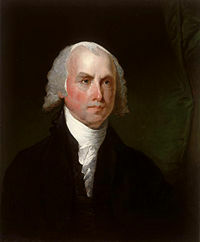 Madison himself, in a letter to Thomas Jefferson, noted that differing economic interests had created dispute, even when the Constitution was being written. At the convention, he particularly identified the distinction between the northern and southern states as a "line of discrimination" that formed "the real difference of interests." The discussion of the ideal size for the republic was not limited to the options of individual states or encompassing union. In a letter to Richard Price, Benjamin Rush noted that "Some of our enlightened men who begin to despair of a more complete union of the States in Congress have secretly proposed an Eastern, Middle, and Southern Confederacy, to be united by an alliance offensive and defensive." However, compromise ideas like this gained little traction. Brutus points out that the Greek and Roman states envisioned by many Americans as model republics (as evidenced by the choice of many authors on both sides of the debate to take Roman monikers) were small. Brutus also points out that the expansion of these republics resulted in a transition from free government to tyranny. In the first century of the American republic, No. 10 was not regarded as among the more important numbers of The Federalist. For instance, in Democracy in America Alexis de Tocqueville refers specifically to more than fifty of the essays, but No. 10 is not among them. Today, however, No. 10 is regarded as a seminal work of American democracy. In "The People's Vote," a popular survey conducted by the National Archives and Records Administration, National History Day, and U.S. News and World Report, No. 10 (along with Federalist No. 51, also by Madison) was chosen as the 20th most influential document in United States history. Douglass Adair attributes the increased interest in the tenth number to Charles A. Beard's book An Economic Interpretation of the Constitution, published in 1913. Adair also contends that Beard's selective focus on the issue of class struggle, and his political progressivism, has colored modern scholarship on the essay. According to Adair, Beard reads No. 10 as evidence for his belief in "the Constitution as an instrument of class exploitation." Adair's own view is that Federalist No. 10 should be read as "eighteenth century political theory directed to an eighteenth century problem; and … one of the great creative achievements of that intellectual movement that later ages have christened 'Jeffersonian democracy.'" Garry Wills is a noted critic of Madison's argument in Federalist No. 10. In his book Explaining America, he adopts the position of Robert Dahl in arguing that Madison's framework does not necessarily enhance the protections of minorities or ensure the common good. Instead, Wills claims: "Minorities can make use of dispersed and staggered governmental machinery to clog, delay, slow down, hamper, and obstruct the majority. But these weapons for delay are given to the minority irrespective of its factious or nonfactious character; and they can be used against the majority irrespective of its factious or nonfactious character. What Madison prevents is not faction, but action. What he protects is not the common good but delay as such." Federalist No. 10 is the classic citation for the belief that the Founding Fathers and the constitutional framers did not intend American politics to be partisan. For instance, United States Supreme Court justice John Paul Stevens cites the paper for the statement, "Parties ranked high on the list of evils that the Constitution was designed to check." Discussing a California provision that forbids candidates from running as independents within one year of holding a partisan affiliation, Justice Byron White made apparent the Court's belief that Madison spoke for the framers of the Constitution: "California apparently believes with the Founding Fathers that splintered parties and unrestrained factionalism may do significant damage to the fabric of government." Madison's argument that restraining liberty to limit faction is an unacceptable solution has been used by opponents of campaign finance limits. Justice Clarence Thomas, for example, invoked Federalist No. 10 in a dissent against a ruling supporting limits on campaign contributions, writing: "The Framers preferred a political system that harnessed such faction for good, preserving liberty while also ensuring good government. Rather than adopting the repressive 'cure' for faction that the majority today endorses, the Framers armed individual citizens with a remedy." It has also been used by those that seek fairer and equitable ballot access law, such as Richard Winger of Ballot Access News. Findlaw. Storer v. Brown, 415 U.S. 724 (1974). Retrieved April 30, 2008. Findlaw. Nixon v. Shrink Missouri Government PAC, 528 U.S. 377 (2000). Retrieved May 1, 2008.Retrieved May 1, 2008. Findlaw. California Democratic Party v. Jones, 530 U.S. 567 (2000). Retrieved May 1, 2008. Hamilton, Alexander, James Madison, and John Jay. The Federalist. Edited by Jacob E. Cooke. Middletown, Conn.: Wesleyan University Press, 1961. Online text of Brutus, no. 1, at The Founders' Constitution, hosted by the University of Chicago. Online text of Cato, no. 3, The Founders' Constitution. History of "Federalist No. 10"
This page was last modified on 4 April 2017, at 20:38.